Dr. Bertini graduated from Harvard School of Dental Medicine in 1997, which he followed up with a certificate in prosthodontics in 1999, also from Harvard. Until 2000, he was a fellow in maxillofacial prosthetic dentistry at the Memorial Sloan Kettering Cancer Center. 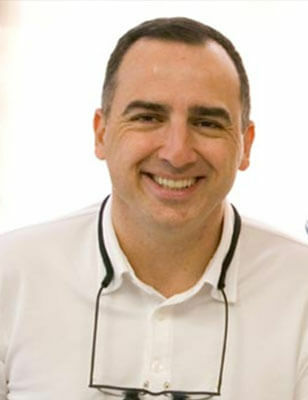 As a reflection of his commitment to educating future generations of dentists, Dr. Bertini has served as a lecturer, clinical instructor and assistant professor at the Harvard School of Dental Medicine and at the New York University College of Dentistry, in addition to presenting at conferences. Dr. Bertini has received awards from the American Academy of Dental Practice Administration, the American Academy of General Dentistry, the American College of Prosthodontists, Harvard University and New York University. He is a member of the American Dental Association, the New York State Dental Society, the New York County Dental Society, the Alpha Omega Dental Fraternity and the New York University Honor Society of Chemistry.